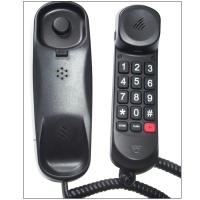 Talking telephones, big button phones, and telephones with Braille keypad make it easier for blind and low vision callers to handle their phone calls. 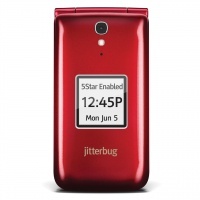 Need help finding the right low vision phone? 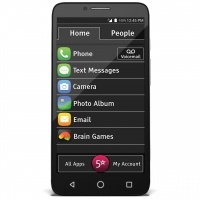 Check out this Low Vision Phone Comparison Chart. Featuring: voice-activaded phones! 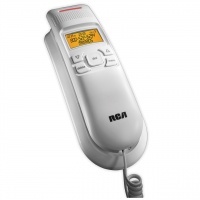 The RCA Amplified Slim-Line Corded Phone offers an amplified telephone solution for those with hearing loss. 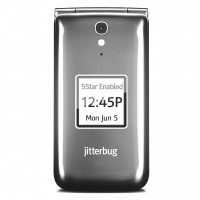 This phone features up to 25dB amplification, audible dialing (hear the numbers as you dial), amplified handset volume and ringer / handset volume control. It is also hearing aid compatible and even works in a power outage!